Credit scores have quickly become highly relevant and often discussed topic today in the industry of credit and mortgages. However, in recent times it has come under a lot of criticism from consumer groups and politicians. In this article, you will be learning about these latest developments that took place with regards to the system of credit scores. A lot of people incorrectly criticized the system of giving credit scores to say that credit scores cannot get changed easily and hence, can impact consumers greatly. Consumers will not be able to quickly get approval for the loans they need or have to more interest rates because the mortgage rates also depend on the credit scores. However, the systems that have been put in place can correct and delete all negative and inaccurate information in a matter of a few days. In recent times, more and more officials from the credit industry have come together to make more changes which can help in simplifying the procedure for the consumer and help them in negotiating better deals. The local bureaus would be checking the complaints made by the consumer directly and in the event that a creditor should confirm that there is error in the factual information provided then the bureau shall make the changes there directly and also provide him necessary documents to help him get approvals for loan applications in the meantime, should it be necessary. Earlier on such a process would have taken months to get completed which could have hampered the consumer's interests, but now with the interim documents in their hands, the consumers can go about with their business and get credits while the changes in their files get made in due course of time. In addition to this, the three main repositories which decide and control credit scores of consumers in the USA have also agreed to be cooperating with each other and share all updated and incorrect information about the consumers in order to ensure the files more accurately. The consumers will also have to be making corrections in the three repositories also in order to get the process speeded up. Changes in the models used to create credit scores are also being considered because otherwise, the credit scores will not change if the formula used for calculating those remains the same. There have been instances where the credit score given by one repository and the score provided by another have shown a wide divergence of about a hundred points and more. In order to fight with this variance, the industry of mortgaging focus on an average score, however, this will still affect a borrower when they have low scores. In order to have a good credit score, a borrower should ideally be targeting more 650. With the new systems and rules in place, getting such credit scores can become easy for a lot of people as it will remove factual inaccuracies in the information provided in their account files. Some of the other latest developments will include the efforts made by creditors to reach out and educate the consumers regarding the credit scoring. This is done by the conduction of seminars and also getting more publications out on the specific subjects. The federal laws maintain the consumers do not have any right for seeing their own scores, but lenders and creditors still reveal it to them. However, these days a lot of people from the industry have come forward and demanded that the credit scores get revealed because it will help the consumers to formulate strategies and methods for improving their scores. One of the main reasons why this is necessary is because the consumer will also then get the chance to see and understand how the score was calculated and computed and bring out errors and discrepancies if they are present. This change will give some degree of control in the hands of the consumer as well because they shall be able to learn about their present credit score and knowing their target score, they would be able to focus in a better way and start improving their scores. You can find out about the credit score that you have by going to the internet and searching for the best free credit score companies. There are a number of such credit score companies that would help you to formulate strategies to help you improve your score. Credit scores are an important aspect of one’s financial life these days. A lot of things depend on a person’s credit score. The recent developments outlined in this article will help the consumer by making them understand their current credit score and help them formulate methods to improve that credit score. Hopefully, the information mentioned in this article will have helped you with your credit in 2019 and beyond. 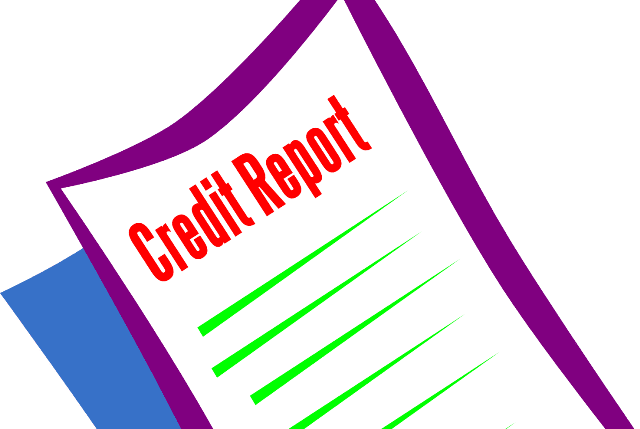 I hope you enjoyed this blog post about the latest credit history and report changes that can influencer your credit scores in 2019. Interested in more articles about personal and business credit?